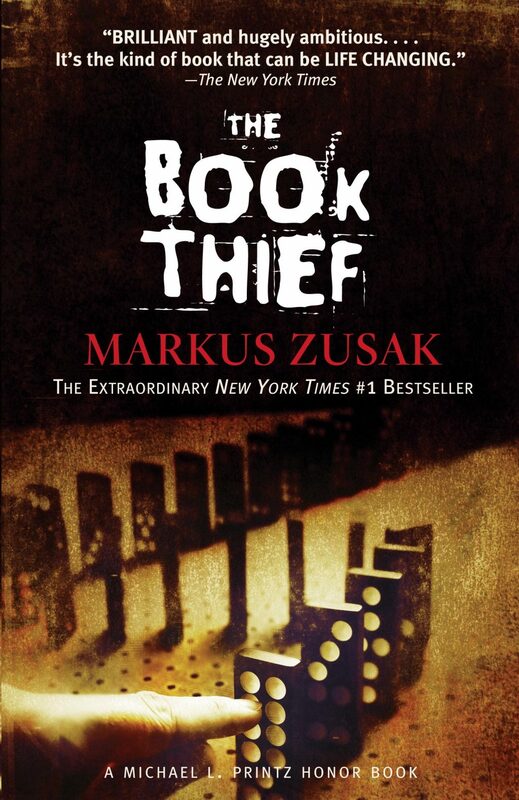 Though “The Book Thief” is written by Austrailian writer Markus Zusak, Death is the one who narrates the book. Literally. This doesn’t mean the book has a deathly metaphor or a deadly theme or deadpan detail (couldn’t resist). Death has his own voice, and he is disgusted by World War II. His work is never ending: gathering up the souls and taking them away. The war only makes things worse, and he is tired. There is no one to replace him, nothing to give him distraction, no one to fill in for him while he goes on a quick vacation. Why would Death need a vacation? From whom does he need distraction? Why, distraction from us, of course. Being the killjoy that Death is, the ending is revealed in the first few pages. Death begins with the three times he saw the book thief. The flag. Page 13. Howling. Don’t pay too close attention. The colors could kill you. While Death throws in his own accounts and accords as he narrates, most of the story is told in the third person writing of Liesel Meminger. Set the scene for 1939 Nazi Germany, historically known as das land der dichter und denke. Enter Liesel, a foster girl who was traveling with her mother and brother, trying to get somewhere safe, anywhere safe. Her brother, however, doesn’t last through the journey. Dumped off at the foster home, Liesel is sent to live with the Hubermanns in Molching on a street called Heaven. She had already stolen her first book. Enter Hans Hubbermann, Liesel’s foster father who is an accordionist, paints for his living, and rolls his own cigars. He comes to Liesel every night when she has nightmares, teaching her how to read and write. Enter Rudy Steiner, the boy constantly asking for kisses. From Liesel, of course. Always unsuccessfully. He is her best friend if such things still exist in war torn towns. Always hungry, they steal food, and conversation, and books. Enter Max Vandenburg, a Jewish fist fighter hiding from the soldiers. The Hubermanns hide him and keep him safe in a basement without windows or stars. One thing keeps him from the terror: writing for Leisel. Thrown straight into the confusion of the war, the characters struggle through their fictitious stories, illustrating the truth about World War II.